has been catching heat from every which-way lately, as the rapper has made comments that have rubbed people the wrong way. His feud with 's had New Orleans in an uproar, his comments got social media fired up, and that his rap status is comparable to , Tupac, and Biggie had hip hop heads ready for that smoke. Actor Michael Rapaport has developed a reputation for aggressively speaking his mind when it comes to pop culture, so when he caught wind Kodak's personal comparisons to the three iconic rappers, he couldn't help but to hop on Instagram and let Kodak have it. 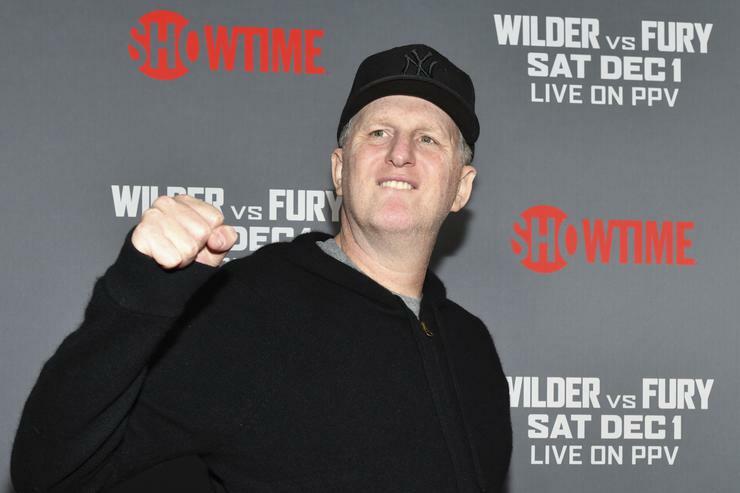 "Kodak Wack...I mean, Kodak Black," Rapaport begins. "The non-rapping rapper said that he should be looked at in the same category as Nas, Tupac, and Bigge." "He also said that Tupac and Biggie only became legends because they died. You're not dope!" he exclaimed. "You're not a dope rapper. You have no skill set. You have no flow. You have no vernacular. Without the face tats, the wild hairdo, and the short stint in prison, you'd be working at UPS. You know, like Biggie said, 'Don't be mad, UPS is hiring.' That would be you. No disrespect to UPS. Comparing yourself to those dudes is a guy playing basketball in his backyard shooting airballs comparing himself to an NBA player. You're not even a top ten mumble rapper. Get] the f**k outta here with that crazy s**t."
Kodak recently fired back at people who criticized his comparison by on his comments. "People tryna say, oh, I can't put myself in the category with Tupac and them," he said on his Instagram Live stream. "Actually, I'm better than them n***as. You know why? Like, 'cause, I live what I rap about. Them n***as was just like -- them n***as was just legends 'cause they died."